HPSS Plumbers and Heating engineers cover Staines, Surrey and with over 25 years experience in the Plumbing and Heating industry you can rest assured, with us – you are in safe hands. All our work is carried out to the highest standards with a strict policy on safety, quality and respect for your property. HPSS are GAS Safe registered. This is very important and is law that anyone carrying out gas work that is within the scope of the Regulations is on the Gas Safe Register. The register is there to protect consumers from unsafe gas work. Our status as a registered engineer shows consumers we are competent and safe to work with gas. The GAS Safe Register replaces the CORGI Plumber scheme. The CIPHE is a professional and technical body constantly striving to raise standards of plumbing and heating in the public interest. HPSS Ltd strongly believe in schemes such as CIPHE to ensure that the general public has the best experience possible when dealing with important matters such as the plumbing and heating of your property. 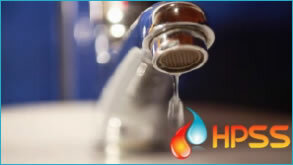 At HPSS we take the stress away with expert repairs and installations of the plumbing and heating equipment you need in a simple, convenient process. Click here to see other areas where our Plumbers in Surrey cover. 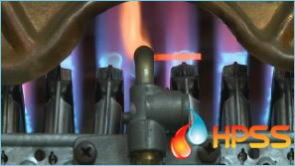 HPSS Ltd can get your boiler up and running fast! We understand this essential part of your home or office is of the utmost importance to your family or workplace. For domestic and commercial boiler repairs call today. We cover all the leading makes and brands of boilers.